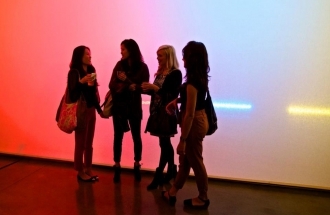 In fall of 2012 Occurrent Arts teamed up with Morgan Sutherland, curator Saulo Madrid, The Ground Magazine, Milk Gallery, and Samsung to create a phenomenological work transforming an issue from The Ground Magazine into an interactive experience. 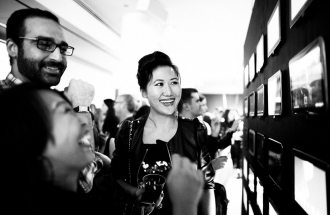 We mounted fifty ten inch Samsung Galaxy Note Tablets in a grid on a wall. 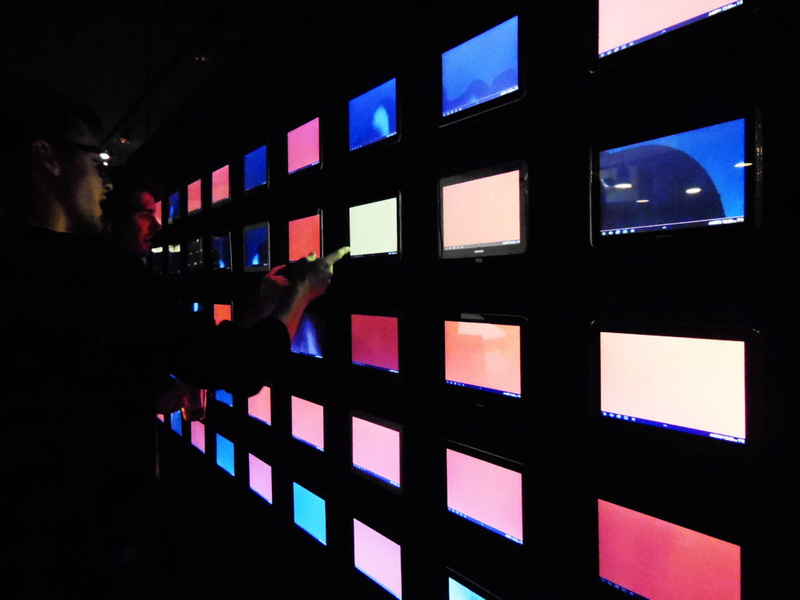 Each tablet displayed a color which changed to match the lighting of the space. The image from its’ front-facing camera gently pressed through the solid color. As you approached what looked like a colored mirror, a tone was played and the the color faded away to reveal a piece of a greater picture. 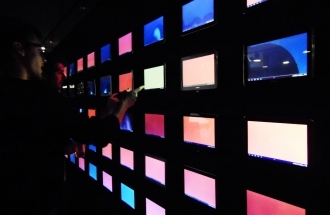 Through quick movement past the wall, an image drawn across whole grid of tablets could be revealed. The technical design for this project was a fun challenge. For simplicity we opted to write one piece of software which we installed on all the tablets. 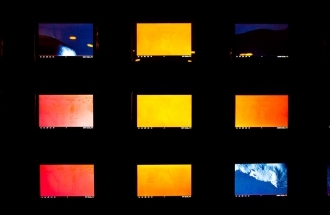 Movement in front of each tablet’s camera ( such as waving ) would trigger a change. By telling the tablet where it lived in relation to the grid, the software could know what part of the distributed images to toggle between. Waving past the tablets would trigger a note through each of their speakers ( like a piano! ). Triggering multiple tablets together would make a chord. Because the tablets were spread out in a grid, this added an interesting dimensional layer to the piece.